Barry’s way of working and aesthetic development has been influenced over the years by the Leach tradition and he has had the opportunity to work as a studio assistant for David Leach and for Leach apprentices, Warren Mackenzie and John Reeve. 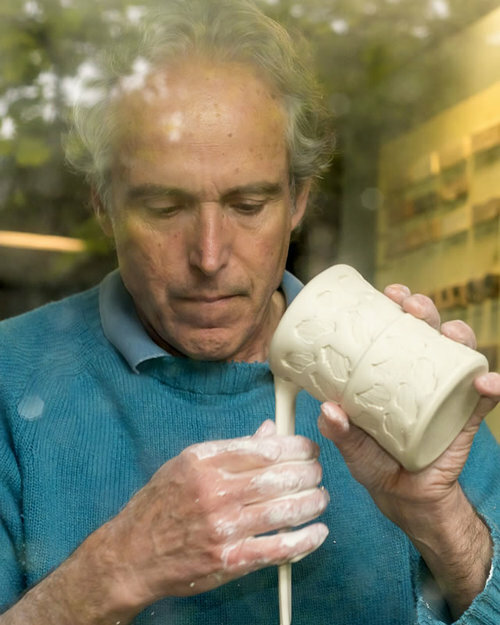 He has travelled to pottery villages from the Amazon rainforest to southern Spain, as well as Haiti, Mexico, Guatemala, Honduras, Colombia, Japan, India and Thailand to study the challenges folk potters face in adapting to diminished needs for utilitarian ceramic wares. Barry has been a potter for over 30 years and displays his wood-fired and glazed work in the US and abroad.